The Environment Agency completed the dredging on the Rivers Parrett and Tone on Wednesday 29th October. They have successfully removed just over 130,000m³ of silt from the two rivers during the 7 month dredge. 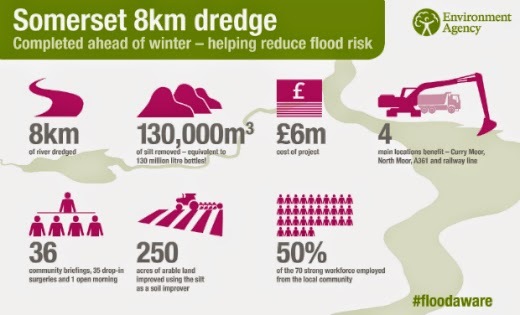 The work will help to reduce the likelihood and duration of flooding to properties on Curry Moor and North Moor, the A361 and the west Coast mainline. Read the last bulletin here. Check out the details below.